Here we are inbounding after a made basket. 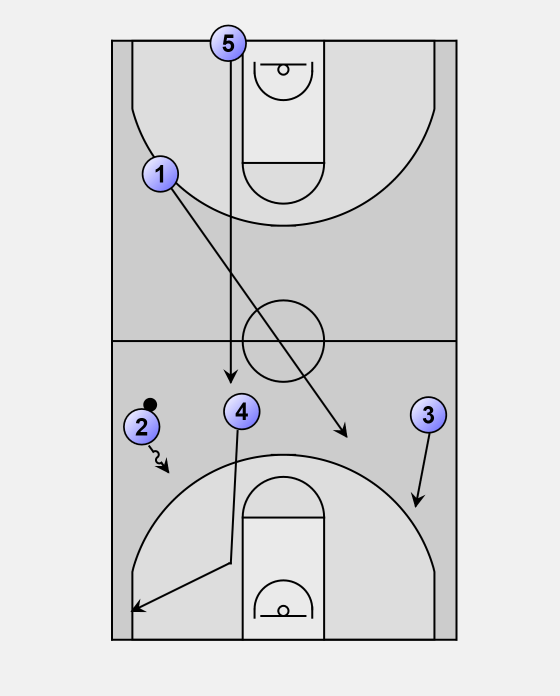 We will run a numbered break with each player having a specific job within the break. 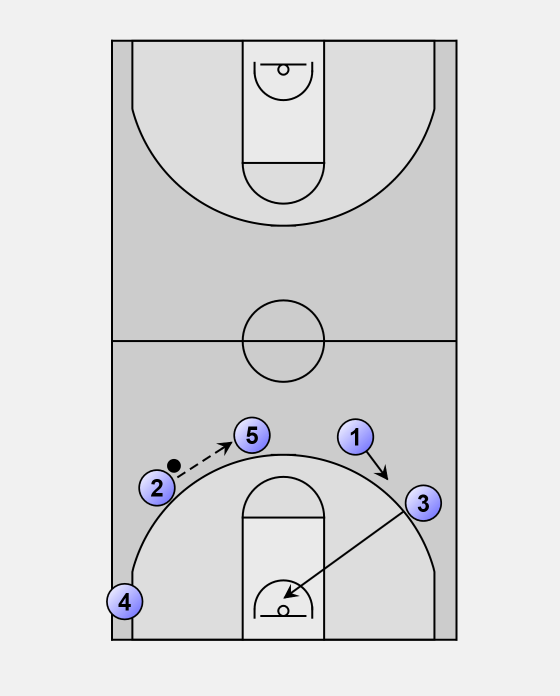 3 will seta backscreen for 2 on the wing for potential entry and easy score. 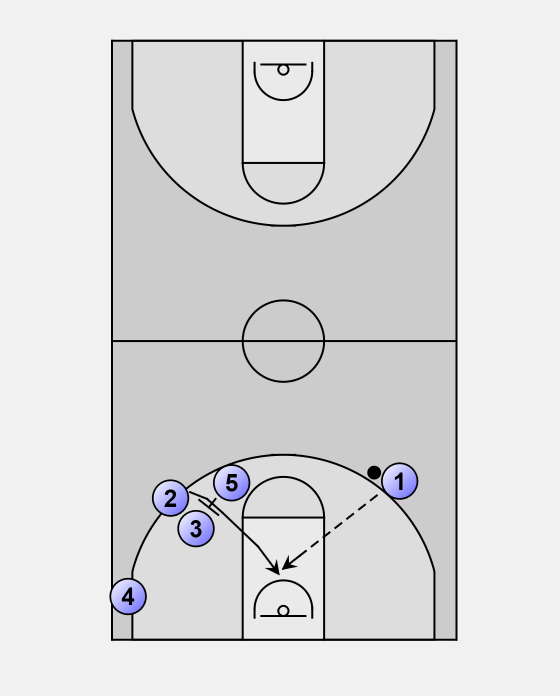 1 looks to 2 for the entry pass and easy score. 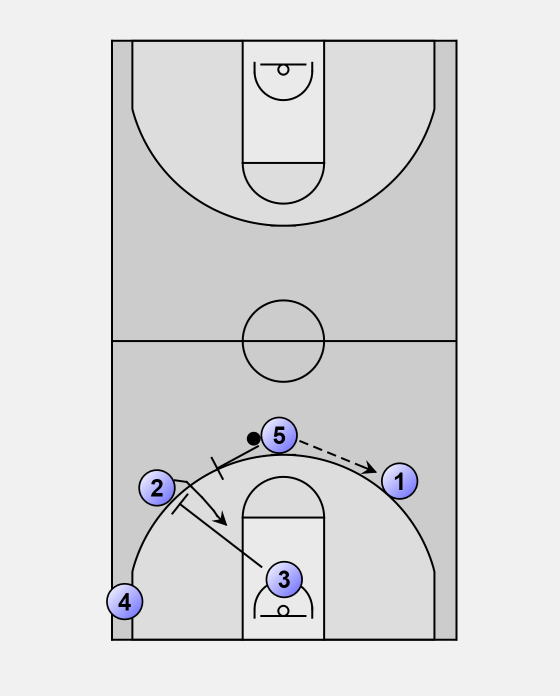 On the pass to 2, 1 and 3 will sprint to defensive floor balance. 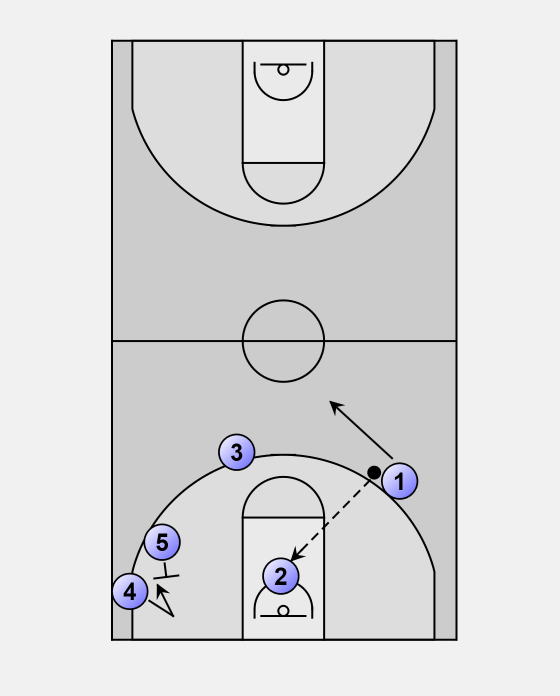 4 and 5 will crash the offensive glass. 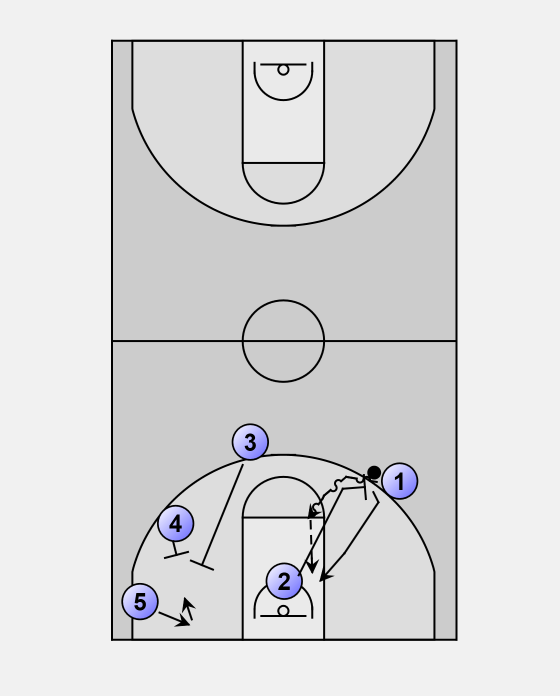 2 will finish his cut to the rim and then sprint to play inside pick-and-roll with 1. 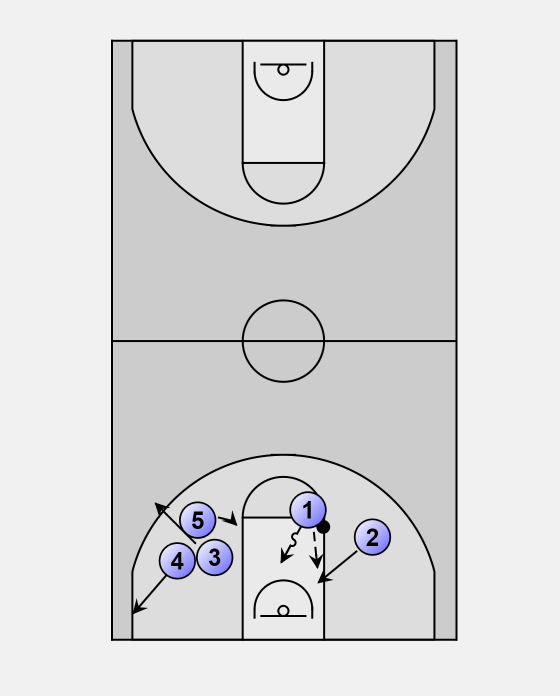 3 and 4 will will downscreen for 5 (our motion rules) for a possible pass from 1 and to occupy the helpside defense. 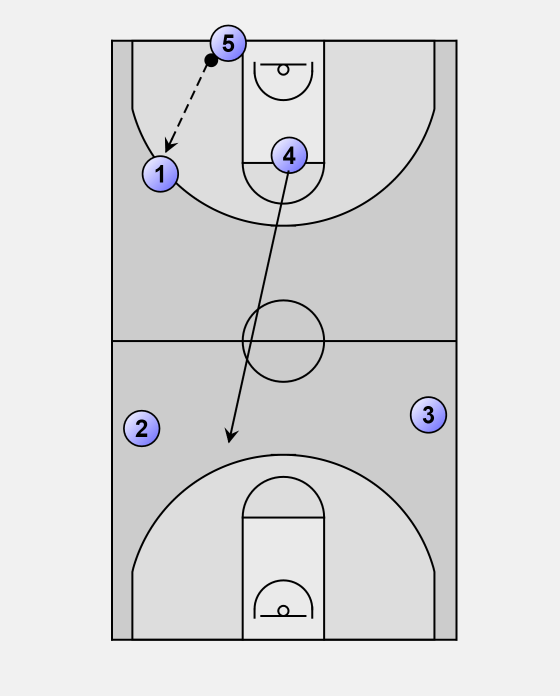 Following the screens, 4 will flare to the corner spot and 3 will fill the wing. 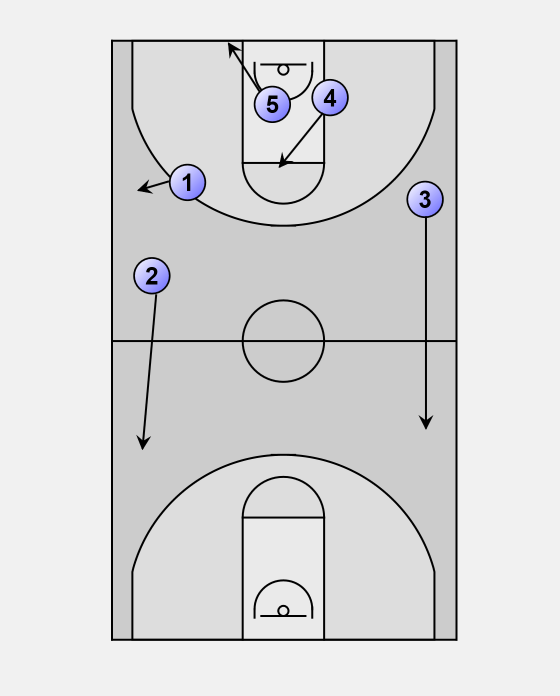 5 continues to curl to the basket for a pass or rebounding opportunity. 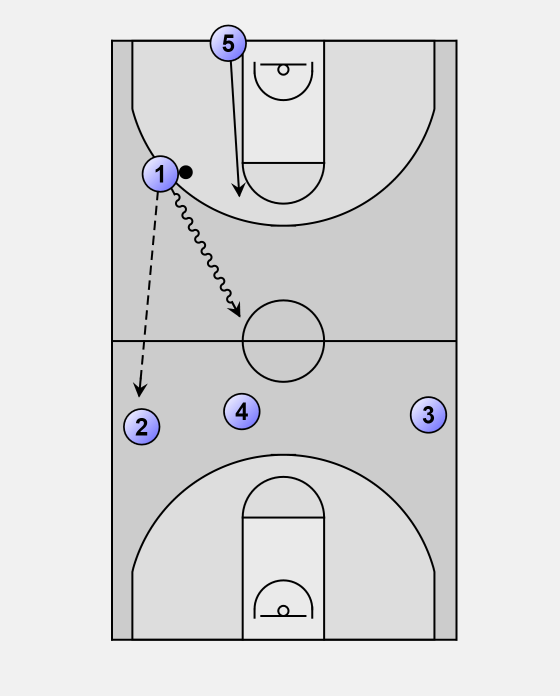 1 & 2 play pick and roll.